Right now over at Amazon you can clip a digital coupon for 20% off Frito-Lay items! Even sweeter, a lot of these items qualify for Subscribe and Save meaning you'll save an extra 5 – 15% and snag free shipping! 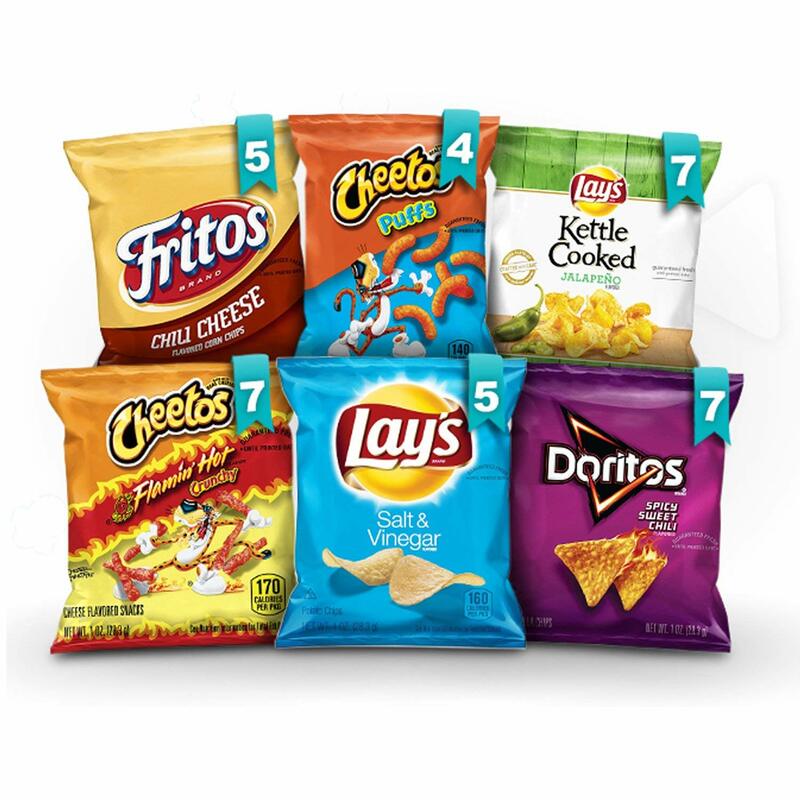 As just one idea, you can score this Frito-Lay Bold Mix 35 Count Variety Pack for just $7.93 shipped when you clip the 20% off coupon and opt to Subscribe and Save! That's just 23¢ per bag! This variety pack includes Salt and Vinegar Lay's, Cheetos Puffs, Flamin' Hot Crunchy Cheetos, Spicy Sweet Chili Doritos, Chili Cheese Fritos and Lay's Kettle Cooked Jalapeno.